The Duck Pond is a heavily visited spot in Stanley Park. Here you can see ducks, swans, canada geese, and even racoons. The Duck pond is connected by water to Lost Lagoon and is a shallow water area. A stone bridge separates the two sections of the duck pond. The duck pond stretches into Ceperley Meadow. Where is the Duck Pond in Stanley Park? 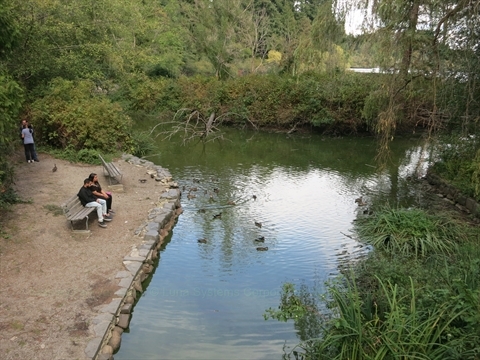 The Duck Pond in Stanley Park is located in Ceperley Meadow between Second Beach and Lost Lagoon. The Peace Train Tree and plaque are close to the duck pond.